We have locally based engineers throughout North London, West London, South and East London as well as across the Home Counties! 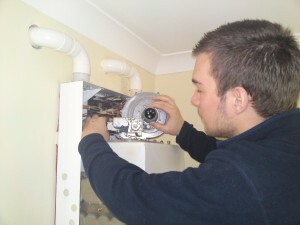 Home Cure engineers are able to carry out your Boiler Installation safely and efficiently at an affordable price. To find out more about our straightforward pricing for your boiler installation or boiler repairs in London please visit our Charges page. Installing Gas Appliances such as Gas Fires, Water Heaters, Cookers and Hobs etc. Each Home Cure heating engineer working on gas projects is fully qualified and experienced in dealing with all situations and is registered with gas safe. This ensures that all work carried out by your heating engineer will be safe. When using an engineer to work on gas always ask to see his or her gas safe card. Our heating engineers are available throughout London, including areas such as Greenwich, Richmond, Islington, Croydon, Harrow and Dagenham. Get in touch with us today by calling 0800 002 9991. Also, don’t forget that Home Cure offer fully qualified plumbers in London. Call today on 0800 002 9991 or contact us online using our simple enquiry form. We are here to solve all your plumbing and central heating problems as well as carrying out boiler repairs and doing your boiler service – call now to arrange your local plumber or engineer appointment.